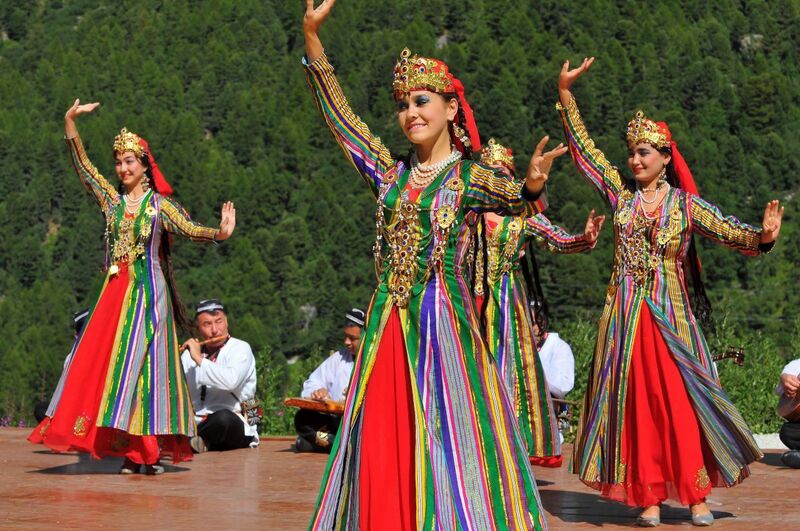 The Uzbek ethnic group is one of the most ancient and colorful on the planet, and the most numerous in Central Asia. Lands in the upper Amu Darya, Syr Darya and in the foothills of the Tien Shan have always differed in ethno-cultural component from other regions of Central Asia. Local residents already in the IV century BC went from a nomadic to a settled way of life, so at the dawn of civilization, there was formed the unique cultural and social structure that has changed little since the days of Darius and Alexander before the nineteenth century. Even the era of the great Migration of peoples and the Turkic-Mongolian invasion could not break the firm foundations of local life. Only with the advent of Islam have certain aspects of Uzbek culture undergone certain changes, but it is more organically integrated into the local culture than subordinated it. The process of formation of the Uzbek ethnic group is clearly visible in the XI century, when agricultural oases with Turkic and Iranian - speaking population United in a single feudal state of the Karakhanids. The formation of the nation itself was completed only in the XVI century, when in Central areas of Central Asia was invaded by the nomadic tribes of Uzbeks United in the Union, headed by the dynasty of Sheibanids. From that moment on, the multi-ethnic Pro-Uzbek ethnic group received its modern name. 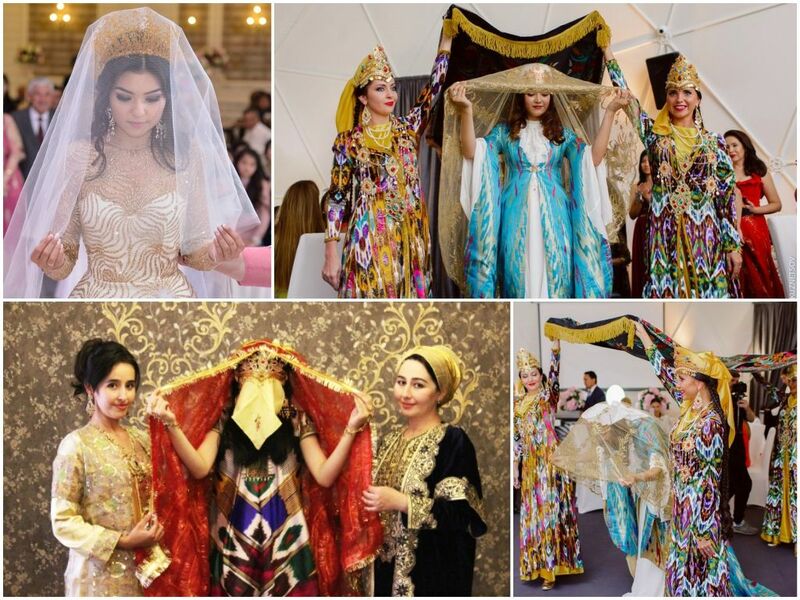 Uzbek national dress has remained virtually unchanged since the beginning of a new era. Men wore and wear shirts straight cut, all kinds of robes, both light and quilted on cotton wool ("chapan"). Belts served as an indicator of the social status of the owner-elegant or embroidered, with silver patterned plaques and buckles, handbags and bags show the wealth of the wearer. Everyday belts, like the belts of the poor, are usually a simple long sash or wrapped around the belt scarf, which often has a fairly bright look. Uzbek men usually wear bathrobes in rather dark colors, but here you can see striped robes of the nearby regions, and richly decorated gowns with traditional embroideries. Traditionally, the pants are made wide, straight cut, slightly narrowing downwards. Women wear gowns, long straight dresses from "Khan-Atlas", and trousers, also wide cut. Moreover, there is a complex system of demonstrating the social or family status of women. Male headdress is usually "kalpok", "dopi" ("Duppi"), "Sanam" and "chizma", "tahya", "tai", "cumali", "Kush" or "kolohe" (skullcap), women also wear scarves, felt hats and turbans. Children's skullcap ("kulohcha," "kalpakka", "Duppi", "kulupush") are varied and colorful fabrics, fluffiness of tassels and beads, embroidery, spangles and abundance of amulets. Moreover, the skullcaps created in different areas differ in shape, ornament and color scheme. Recently, Uzbek clothing has undergone strong changes under the influence of European culture, so everywhere you can find people dressed in the latest fashion. 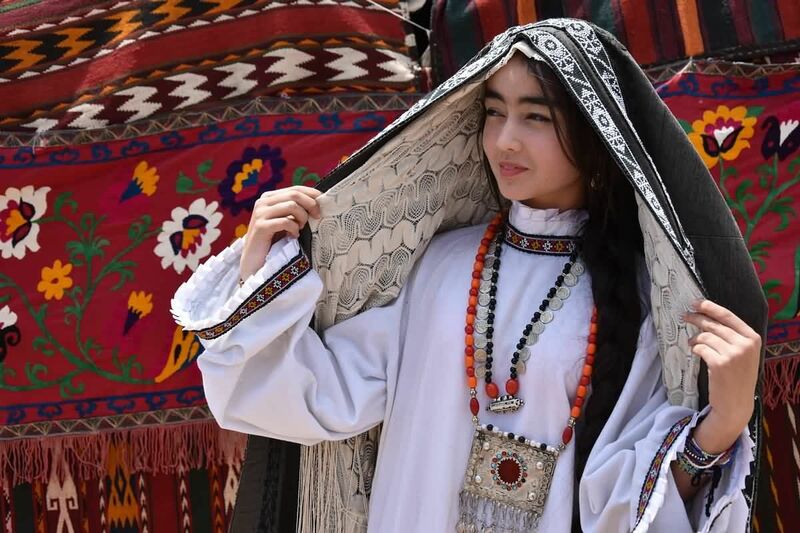 However, the famous Uzbek embroidery and embroidered clothing, metal and precious stones, traditional hats and carpets are still much more popular than European innovations. In a large Uzbek family, usually consisting of several generations of living together relatives, there is a strict hierarchy. Relations in the house are based on unconditional submission to the head of the family and respect for the elders. A woman in the local family has a dual position - on the one hand is the mother and wife of the head of the family, on the other-a subordinate and husband and his father (or mother). And there is no discrimination here - it is an age-old tradition, based on the experience of life in difficult local conditions. The marriage age for a girl was previously considered to be 13-14 years, today it is dominated by European standards, although cases of early marriage are not uncommon. Children also enjoy universal love. Islam plays an important role in the social and family life of Uzbeks. Religion has defined and defines everyday, family and worldview aspects of life, has a strong influence on political processes and art, on the whole way of life. A Muslim should five times a day at a certain time to turn to God ("namaz"), during the month of Ramadan (Ramadan) to observe strict fasting during the daytime, not to drink, not to smoke and not to take food before sunset. Of their income Muslim should volunteer to pay a portion of the money ("zakat") to the poor or to charitable Affairs. It should celebrate Muslim holidays and especially the feast of sacrifices (Kurban). But in the local tradition there are some differences from the canons of Islam - mandatory for the believer "Hajj" (pilgrimage to Mecca), can replace a visit to the "Holy places" ("Mazars"). A special role is played by rituals associated with the birth and upbringing of children ("beshik-tuyi", "khatna-kilish"), marriage ("Fatiha-TUI" - engagement), wedding ("Sunnat-TUI"), cooking ("sabzi-tugrar") and so on. Often they represent the combination of Islamic rituals with more ancient forms related to mystical practices. The Ministers of the cult have special respect here and participate in almost all the events of the country. Friday is considered a holiday, which is celebrated in the Cathedral mosque by General prayer (prayer). 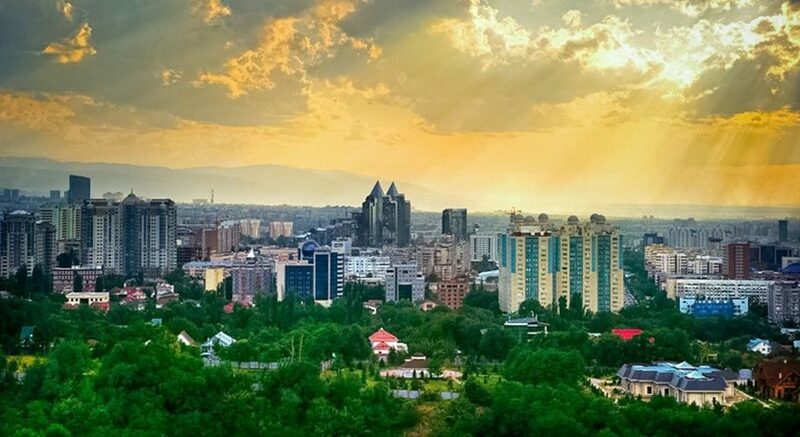 And at the same time Uzbeks can not be called fanatical Muslims - with all the diversity of local life there is always a lot of secular, and the tolerance of local residents is widely known outside the country. One of the traditional forms of social structure of Uzbekistan is "mahalla" - a neighbor community, which is a large community of close neighbors and relatives, usually uniting with mutual assistance ("khashar") the whole settlement, with its mosque, local government, traditions and culture. The significance of the "mahalla" is so great that it is recognized as an important part of the local government of the country. One of the firm traditions of local life is hospitality. The ability to receive a guest is valued in Uzbek society much higher than the wealth of the table or the wealth of the family. From the invitation to lunch or dinner is not accepted, a very important aspect for the guest is punctuality. 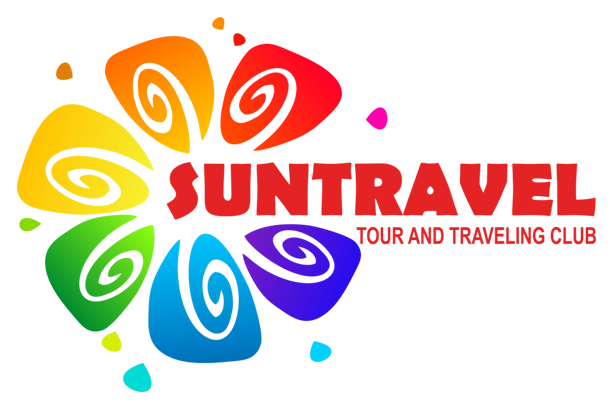 When going to visit, it is advisable to bring small Souvenirs or sweets for children. Distinguished guests, the hosts greeted at the gate, greet, interested in the Affairs and life, I invite you to come in. Guests are usually accommodated in a large Central room, or are invited to go to the courtyard - the local climate allows for dining events in the yard for almost eight months of the year. At the entrance to the living room shoes must be removed. The table ("dastarkhan") is usually laid in the center of the room or, in the case of a yard, under the trees or in another shady place. The guest must follow the instructions of the owner, but there is usually an eternal confrontation - the owner also wants to please the guest! And in this case, humor and polite attitude to all participants of this, quickly theatrical process is very appreciated. However, it should be remembered that the most honorable places are considered to be places away from the entrance or gate. Women do not usually sit at the same table with men, but in urban settings this rule often does not work. At the table, it is not accepted to admire the beauty of women and pay close attention to them. But to ask about the Affairs of the family and the well-being of its members is appropriate. Any meal here begins and ends with tea. At first, sweets, pastries, dried fruits and nuts, fruits and vegetables are served on the table, then there are snacks, and only at the end - mandatory pilaf and other "heavy food". The local pilaf is very nourishing and is prepared according to a rather complex recipe, so it is not recommended to lean on it at once. The abundance of fat in food also does not promote digestion, so it is recommended to drink as much green tea as possible (which, in General, Uzbeks do from time immemorial). Be sure to present on the table hot cakes, which in any case should not be turned. Dropping a piece of cake on the ground or even just putting it there, even wrapped in cloth or paper, is also considered a bad sign. Tea and tea ceremony occupy a significant place in Uzbek life and everyday life. Brewing of this really main drink of the country, as well as pouring it to guests, is the prerogative of men, first of all-the owner of the house. Tea is brewed in small kettles and poured into small bowls. The traditional element of hospitality is characterized by a small amount of poured tea-the more honored guest, the less in his Cup of drink. This paradox is explained very simply-a sign of respect for the house is as frequent as possible appeal to the owner or the owner of the house "for the additive." But that is not how a half-empty Cup contributes to this? Therefore, repeated appeals to the owners with an empty bowl are considered as a tribute to the family. If at the bottom of the bowl is still tea, the hostess spills it and fills the bowl again. Accordingly, the uninvited guest is usually poured tea to the brim.